— The maiden launch of NASA's new heavy-lift rocket now has its own mission patch. 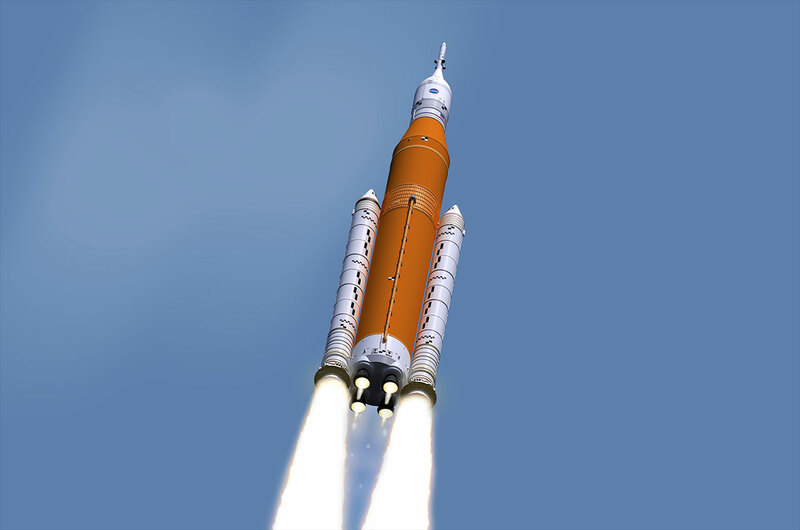 "EM-1 lays the foundation for the first crewed flight of SLS and Orion, as well as a regular cadence of missions thereafter near the moon and beyond," stated NASA in a November release. The new EM-1 patch features the launch of the SLS at the center of its triangular design. The rocket is depicted lifting off from Complex 39B at NASA's Kennedy Space Center in Florida. The major SLS components are shown in simplified form, including the orange insulation-covered core, two side-mounted five-segment solid rocket boosters and the shuttle-legacy RS-25 engines at the base of the core. The Orion spacecraft and its European-built service module are mounted on top of the booster. Atop the Orion is its launch abort system tower. At the base of the patch, protruding from the launch plume, are the three spires of the pad's lightning protection system and the gantry tower that is part of the new SLS mobile launcher. 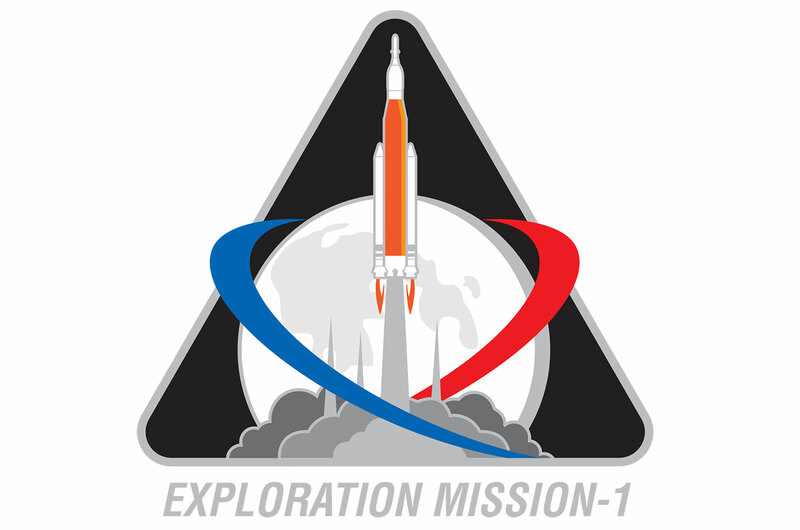 The EM-1 mission patch is the first insignia to represent the SLS, which has gone without a project or program logo. It is the third Orion flight emblem after designs for Pad Abort 1 (PA-1), a launch abort system test in May 2010, and Orion's first launch to space, Exploration Flight Test-1 (EFT-1), an Earth-orbit mission that flew on a United Launch Alliance Delta IV Heavy rocket in December 2014. 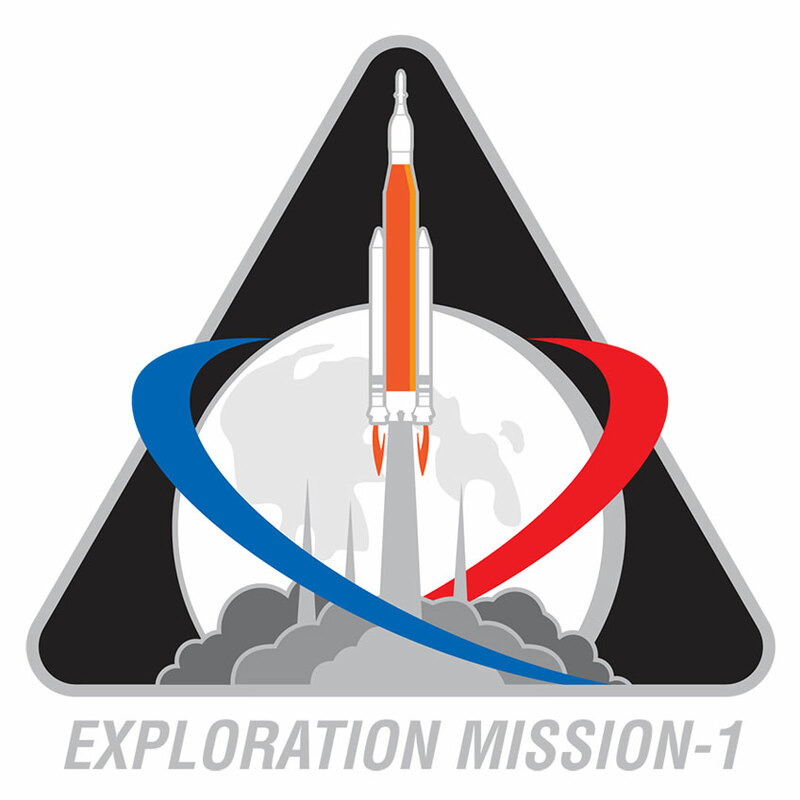 Orion also has a project logo, which was created for NASA by Michael Okuda, a graphic designer known for his work on the "Star Trek" TV series and movies. In addition to EM-1, for which SLS and Orion hardware is now under construction and testing, NASA is also preparing to fly Ascent-Abort 2, an atmospheric flight to validate the abort system's ability to get a crew to safety if needed during a launch gone awry. Ascent-Abort 2 is targeted for April 2019.